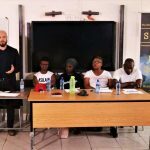 The dialogue will analyse political developments in Zimbabwe in relation to the 2018 elections and the role that the region (specifically SA) and other external players should play. It will also address questions about the state of the opposition as we approach 2018. Zimbabwe President Robert Mugabe was shown meeting on Thursday with the army commander who put him under house arrest, as negotiations with a South African delegation and a Catholic priest at the state house pushed for a resolution to the political turmoil and the likely end to Mugabe’s decades-long rule. New photos of the meeting on Thursday afternoon has been circulated. The photos did not show first lady Grace Mugabe, whose rapid political rise had alarmed many in the country who feared she could succeed her husband. According to the Zimbabwe Herald the meeting was attended by Commander General Constantino Chiwenga of the Zimbabwe Defence Force, Father Fidelis Mukonori, South African Defence Minister Nosiviwe Mapisa-Nqakula and State Security Minister Bongani Bongo, Zimbabwe Defence Minister Dr Sydney Sekeramayi and Zimbabwe State Security Minister Cde Kembo Mohadi. Finance minister Ignatius Chombo was reportedly found with US$10m in cash at his Harare home after the property was raided by the military Wednesday morning. The minister, said to be one of President Robert Mugabe’s most corrupt officials, was among the first ministers detained by the army as Generals deposed the 93-year-old Zanu PF leader from power. The unverified claim that Chombo had bags of cash at plush home was made by independent Norton legislator Temba Mliswa. “Just for your own information, Minister Chombo’s house which was invaded as he got arrested had US$10 million,” Mliswa claimed in an interview with Al Jazeera. South Africa and the Democratic Republic of Congo (DRC) have committed to remove hurdles that hinder business interactions between business people of the two countries, the trade and industry department (dti) said on Saturday. 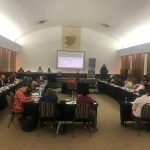 The agreement and commitment emanated from discussions held during this week’s Investment and Trade Initiative (ITI) seminar, organised by the dti and hosted in Lubumbashi in the DRC, the department said in a statement. Addressing delegates at the seminar, South African consul general in Lubumbashi Andrew Maswanganye said it was important for both countries to work towards “harmonising the climate of doing business” and coming up with ideas on how to implement agreements already in place. The United Nations has urged the government of the Democratic Republic of Congo (DRC) to allow peaceful rallies on the eve of expected anti-government demonstrations called by opposition and civil society groups. In a statement issued on Tuesday, the UN peacekeeping mission, MONUSCO, called on DRC authorities “to respect the fundamental freedoms enshrined in the Congolese Constitution, including freedom of assembly and of demonstration”. It also said that authorities should “instruct defence and security forces to respect the principles of necessity, proportionality and legality, consistent with international standards”. The Ministry of Women and Human Rights Development of the Federal Government of Somalia took a major step forward in strengthening the rights of children today by launching the drafting process of its Child Rights Bill, a gesture that the Ministry strongly believes will guarantee a better future for Somali children. The Security Council on Tuesday renewed until 15 November 2018 the partial lifting of the arms embargo on Somalia, authorization for maritime interdiction of illicit arms imports and charcoal exports, and the humanitarian exemption. In the resolution adopted by 11 affirmative votes and four abstentions, the 15-member body requested the Somalia and Eritrea Monitoring Group (SEMG) to continue its investigations related to the export to Somalia of chemicals that may be used as oxidisers in the manufacture of improvised explosive devices, such as the precursors ammonium nitrate, potassium chlorate, potassium nitrate and sodium chlorate. Those abstained in the vote were Bolivia, China, Egypt and Russia. The UN Security Council has unanimously approved a resolution increasing the UN peacekeeping force in the conflict-torn Central African Republic to a total of 11 650 military personnel. “United Against the New Law” and “Free Press or No Press,” read banners held up by demonstrators who say the bill empowers Sudan’s press council to ban any journalist for an indefinite period if his writings oppose government policies. “The new law threatens the freedom of the press, and so we outright reject it,” said Sadeq al-Rizeigat, head of the Sudan Journalists’ Syndicate. The United States is prepared to hold talks on removing Sudan from its blacklist of “state sponsors of terrorism,” a senior US official said in Khartoum on Thursday. Sudan meanwhile said it was ready to cut ties with North Korea, in a sign of goodwill towards Washington. US Deputy Secretary of State John Sullivan said that given the “positive” steps taken by Sudan since last year, Washington was prepared to discuss removing Sudan from the blacklist, which also includes Iran and Syria. “We are prepared to continue discussions with the government of Sudan on this issue … and to engage with them on all that would be required to have them removed from the list of state sponsors of terrorism,” Sullivan told foreign media journalists based in Khartoum. South Sudan President Salva Kiir’s government is using food as a weapon of war to target civilians by blocking life-saving aid in some areas, United Nations sanctions monitors told the Security Council in a confidential report seen by Reuters on Friday. During 2016 and 2017, the UN monitors said a military campaign by government troops in the northwestern town of Wau and surrounding areas in Western Bahr el-Ghazal targeted civilians on ethnic grounds and displaced more than 100,000. South Sudan’s President Salva Kiir and his former army chief of staff apparently have reconciled, a week after a tense standoff in Juba threatened to escalate into violence. The reconciliation happened Thursday at a prayer service at the president’s residence in Juba. Pictures surfaced on the internet showing Paul Malong hugging Kiir. The coziness seems a world away from events last week in Juba, when tanks and dozens of government troops surrounded Malong’s house after he refused to release a platoon of soldiers guarding him. A UN peacekeeping force has been deployed in the former Spanish colony since 1991 with a mandate to organise a referendum on its independence or integration with Morocco. Morocco agreed to the vote in a 1988 agreement with the pro-independence Polisario Front that ended 13 years of conflict but has since blocked it being held, saying it will accept only autonomy for the territory. “No settlement of the Sahara affair is possible outside the framework of the full sovereignty of Morocco over its Sahara and the autonomy initiative, whose seriousness and credibility the international community has recognised,” the king said in a televised address on Monday. The UN has refused for the moment to comment on the royal speech delivered Monday November the 6th on the 42nd anniversary of the Green March. Yesterday, during his daily press briefing, the Secretary-General spokesperson, Stéphane Dujarric, refused to answer a question saying “I’m not going to react to the King’s speech”. A cautious answer that aims at avoiding tension between the two parties after the sovereign’s speech. On the Green March commemoration day, King Mohammed VI stressed in his address the conditions and the framework in which the upcoming negotiations should take place. “‘No’ to any solution to the Sahara question other than within the framework of Morocco’s full sovereignty over its Sahara and the Autonomy Initiative, which has been declared serious and credible by the international community”. 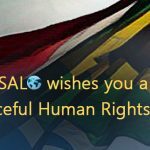 The Southern African Development Community (SADC) Organ Troika Plus on Thursday, said it noted with “great concern” the unfolding situation in Zimbabwe. “[The] SADC Organ Troika further reaffirmed the need for SADC Member States to remain guided by their Constitutions. [The] SADC Organ Troika called upon all stakeholders in Zimbabwe to settle the political challenges through peaceful means,” the short statement said. Kenyan police have used tear gas and water cannons to disperse supporters of opposition leader Raila Odinga who are trying to gather near the country’s main airport to welcome him back from an overseas trip. Friday’s incident was shown on live television. Opposition supporters are responding to a call to welcome Odinga after speaking engagements in the United States and Britain over Kenya’s political turmoil following a court-nullified presidential election and the fresh vote last month. Odinga boycotted the new vote, saying electoral reforms had not been made. President Uhuru Kenyatta’s win on Oct 26 is being challenged at the Supreme Court by activists and a politician amid claims of irregularities. The UN Human Rights Committee on Thursday gave the Democratic Republic of Congo a year to report on actions it has taken to hold free and fair elections and clean up its rights record. The United Nations watchdog, whose 18 independent experts monitor countries’ compliance with a global human rights treaty, said Congo should come back with an explanation by 10 November 2018, rather than after the regular four years between reviews. Congo should “cooperate with all stakeholders to establish an agreed electoral calendar for the holding of free, peaceful and honest elections as soon as possible”, the committee said in its report on the central African country. Congo’s electoral commission president announced on Sunday that long-awaited presidential elections to replace President Joseph Kabila would take place in December 2018. Speaking at a news conference in Democratic Republic of Congo’s capital Kinshasa, Corneille Nangaa said around 43 million voters had so far been registered for the vote. Repeated delays to the poll, originally scheduled for late 2016, have triggered unrest and raised fears the central African nation could slip back into the conflicts that killed millions around the turn of the century, mostly from hunger and disease. The US military announced Thursday it had killed “several militants” in an airstrike against Al-Shabaab jihadists in Somalia. The attack took place early Thursday in the Bay region in the center of the country, about 160km west of Mogadishu. The strike was carried out “in coordination with the Federal Government of Somalia,” the US Africa Command said in a statement. “Al-Shabaab has pledged allegiance to al-Qaeda and is dedicated to providing safe haven for terrorist attacks throughout the world,” it said. The UN Security Council is considering a draft resolution that would bolster the peacekeeping mission in the Central African Republic with 900 extra troops to help protect civilians, according to the text obtained by AFP on Tuesday. The measure follows a request from UN Secretary-General Antonio Guterres who has warned of a risk of ethnic cleansing in parts of the impoverished African country. The French-drafted resolution would extend the mission known as MINUSCA until November 2018 and increase the number of uniformed peacekeepers by 900, to a ceiling of 11,650, along with 2,080 police and 480 military observers. The UN mission in the Central African Republic (CAR) released rebel fighters accused of shooting a UN peacekeeper, confidential documents seen by the BBC show. The two men were handed back to their commander in 2015 despite injuring the UN peacekeeper – a war crime under international law. Because the incident happened shortly before crucial elections, UN officials chose to “appease the electoral process” by “set[ing] the alleged war criminals free, handing them over”, a UN report says. This revelation is the latest blow for a peacekeeping mission beset by problems. The head of the United Nations–African Union Mission in Darfur (UNAMID), Jeremiah Mamabolo, announced yesterday that the mission is ready to provide support for Sudan’s campaign to collect illegal firearms in Darfur. The remarks came during a meeting with Sudanese Vice President Hasabo Abdul Rahman yesterday at the Republican Palace in Khartoum, the Sudanese news agency reported. The agency did not give details on the nature of the support. “The mission welcomes the arms collection campaign in Darfur,” Mamabolo said, adding that collecting the illegal weapons is the strongest guarantee to preserve peace, stability and security and will enable the people to exercise their normal lives. A Sudanese court on Monday sentenced a prominent newspaper editor to six months in jail for publishing an article accusing President Omar al-Bashir’s family of corruption, the journalist told AFP. “The court has ordered me to pay 10,000 Sudanese pounds ($1,428) or go to jail for six months,” Osman Mirgani, editor-in-chief of the independent daily Al-Tayar, said. The United Nations Mission in South Sudan (UNMISS) said on Thursday that it is willing to provide assistance when requested in solving the ongoing standoff between the government and the former Army (SPLA) Chief of General Staff Paul Malong. UNMISS spokesperson Daniel Dickinson told Xinhua that the world body considers this standoff an internal matter for the South Sudanese, but UNMISS is ready to provide assistance if requested by both sides. “UNMISS considers this an internal matter for the South Sudanese. The Mission is calling on all involved parties to resolve the situation peacefully.UNMISS is ready to provide assistance if requested by both sides,” Dickinson, who did not disclose further details, said in Juba. His wife, Lucy Ayak, told VOA’s South Sudan in Focus program that Malong was released Thursday. “My husband has been released and has been allowed to go for a medical checkup in east Africa,” she said. Recently, dozens of tanks and troops were deployed along the road leading to Malong’s home in Juba after Malong refused a presidential order to release a platoon of 30 soldiers guarding him. Ayak told VOA on Monday that some of the men deployed to her husband’s home were police while some were from military intelligence. Sahrawi Foreign Minister Mohamed Salem Ould Salek on Wednesday called on all stakeholders in the Western Sahara conflict, namely the United Nations, the African Union and mainly France, to assume their responsibilities and find a lasting solution. He also denounced the complicity between Paris and Morocco and their desire to undermine and block the peace process in Western Sahara. Following the speech of Morocco’s King Mohamed VI marking the anniversary of Moroccan military invasion of the Sahrawi territories, Ould Salek said that the King of Morocco has reneged on the commitments made by his country under the auspices of the UN and the AU, regarding the referendum on self-determination of the people of Western Sahara. The Polisario Front on Wednesday condemned a speech by Moroccan King Mohammed VI ruling out independence for the disputed territory of Western Sahara. The speech on Monday “contradicts the commitments of Morocco”, said a senior official of the pro-independence movement, Mohamed Salem Ould Salek, quoted by the Algerian news agency APS. He said the king’s stand ran contrary to commitments to the African Union banning occupation of the territory of a fellow member country. His visit to Zambia with the former beauty pageant finalist comes two months after picking his 14th wife – 19-year-old Siphele Mashwama – from the about 40,000 maidens who danced for him during the traditional chastity rite. The latest wife and daughter of Swaziland’s cabinet minister, Jabulile Mashwama, travelled with him to the 72nd United Nations General Assembly held in New York recently. Zambia’s President Edgar Lungu was King Mswati’s guest at the 2017 Reed Dance ceremony where he donned traditional Swazi outfit and joined the King and his regiment of Swazi men during the kudlalisela session which is a procession around the dancing arena to appreciate the maidens. The Swaziland Rail Link entails the construction of a 150 kilometre new railway line from Lothair in South Africa to Sidvokodvo in Swaziland and the revamping of two existing lines in both countries. “This line has been designed to carry 150 general freight wagons at a time and will be operated as a seamless service without stopping at any of the boarders either into Swaziland or out of Swaziland,” Nair said. President Robert Mugabe has exerted almost total authority over Zimbabwean politics for decades — but the sacking of his most senior long-time confidante could spark repercussions beyond his control. Vice President Emmerson Mnangagwa was dismissed and humiliated on Monday after clashing with Mugabe’s wife Grace, who is now in prime position to succeed her husband. The removal of Mnangagwa, who has powerful military connections, has laid bare the rivalries inside Zimbabwe’s political establishment as Mugabe, 93, shows increasing signs of old age. Zimbabwe’s sacked vice president Emmerson Mnangagwa said on Wednesday he had fled the country as he issued a direct challenge to long-ruling President Robert Mugabe and his wife Grace. The judges of the International Criminal Court (ICC) have authorised the Prosecutor of the court to investigate the crimes allegedly committed in Burundi since the outbreak of the political crisis in 2015, it said on Thursday. In a statement, the judges of the Pre-Trial Chamber III of the ICC granted Prosecutor Fatou Bensouda permission to extend her investigation to crimes which were committed before April 26, 2015 and continued after October 26. Burundi announced its withdrawal from the ICC a year ago, and the withdrawal became official on October 27. Burundian authorities have declared that the ICC was no longer allowed to open investigations against Burundi. The Ugandan military on Thursday said it is ready to deploy 5,000 troops in Somalia outside the African Union (AU) and United Nations (UN) mandate for all-out offensive operations against the Al-Shabaab militants. Brig. Richard Karemire, the military and defense spokesperson, told Xinhua that Uganda as a Pan-Africanist country is ready to send the troops as long as the international community commits resources for the operation. “We are always ready to deploy such a number and even more as a country and Pan-Africanists. We need some support somewhere,” said Karemire. 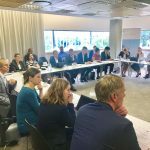 On 01 November SALO participated in the Migration Side Meeting 28th International Population Conference that was hosted in Cape Town from 29 October to 04 November. 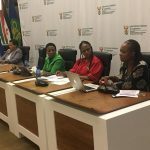 The side meeting was convened in response to the build-up of the series of migration roundtables that were hosted by StatsSA and the National Department of Social Development. 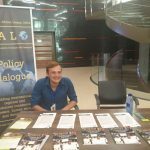 SALO not only attended the roundtables, but also provided input on the concept note. The Side Meeting was a success and will feed into the migration conference that will be hosted in 2018. 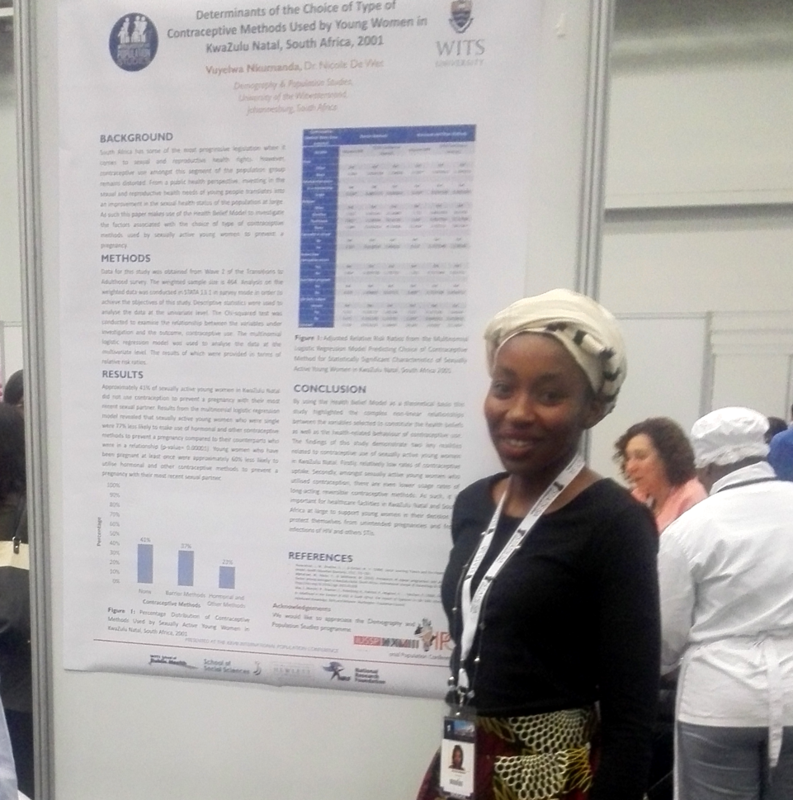 Vuyelwa Nkumanda from SALO presented a poster of her Master’s paper titled ‘The Determinants of the Choice of Type of Contraceptive Methods Used by Young Women in KwaZulu Natal, South Africa, 2001’ during the Africa Population Day poster session on 01 November 2017 at the 28th International Population Conference of the International Union for the Scientific Study of Population in Cape Town. 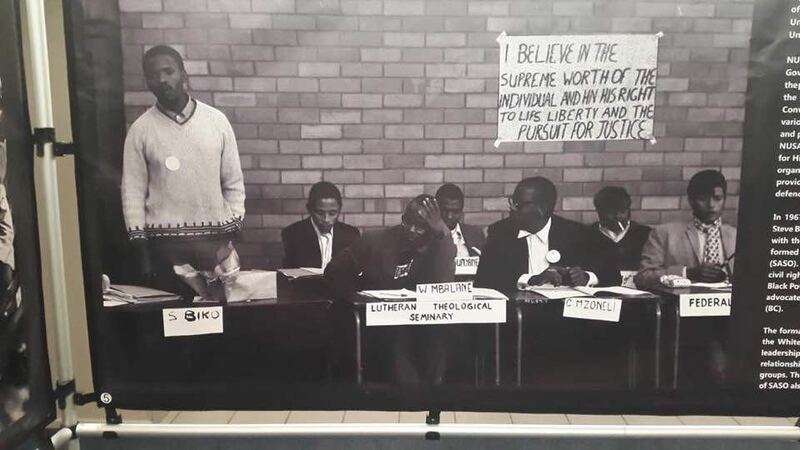 Steve Biko with Rubin Phillip, 1972, South African Students’ Organisation, General Assembly, Durban. This picture of Stephen Biko (standing) and SALO’s chairperson Bishop Rubin Phillip (far right) was taken in 1971 at the Alan Taylor Residence hall in Durban. It was the University of Natal’s residence for black-only medical students. The occasion was the annual conference of the South African Students’ Organisation (SASO), founded by Biko. Rubin was attending the conference as a representative of the Federal Theological Seminary, Alice (next to Fort Hare University). He was elected Deputy President of SASO the following year, and in 1973 was banned by the South African government under the Suppression of Communism Act of 1950.